We wanted to take full advantage of the mild temperatures this week and heat up our grill for some BBQ delight. I pulled out some Bone-in Chicken Breast from Shopease Foods to grill up for dinner. 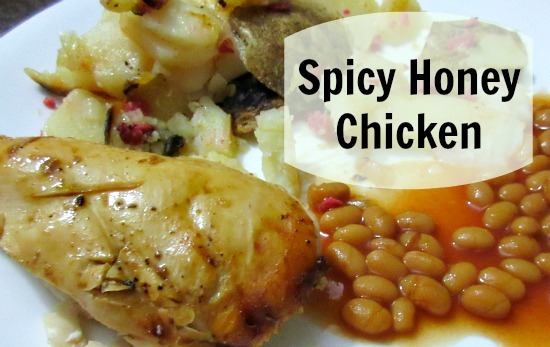 You could use any kind of chicken pieces for this recipe it doens't have to be just chicken breasts. Since Rob loves BBQ and to be honest I am not very good at it he took over cooking for the night. Heat up BBQ Grill. In a small bowl combine all of the above ingredients. Coat both one side of the chicken with the sauce once it is on the grill. Once you turn it over and coat the other side of the chicken. NOTE: This could also be done in the oven cooking at 350 degrees for about 20 minutes each side depending on the size of your chicken. Do you ever BBQ in the winter with snow on the ground?